CHOC Children’s Foundation, Development Assistant Grace LeRoy-Loge is currently the Development Assistant, Major Gifts for CHOC Children’s Foundation and previously the Family Support Liaison for CHOC Children’s Hospital NICU for 11+ years. Her passion for helping families through the challenging NICU journey began when her youngest son was diagnosed with a rare chromosome disorder at the time of birth. This life changing experience has pursued her to not only help families in the hospital but also when they go home. She is a member of the Make-A-Wish Medical Advisory Committee, Women’s Circle of Wishes, Orange County Children’s Collaborative, Network Leaders, Facilitates a Spanish Support Group and Chairs the Courtney’s Sandcastle Charitable Foundation. When Grace is not working with families or volunteering she is working on her Premier Designs Jewelry Business. Through Premier Designs accessories she is helping every women of every style feel confident, stylish and professional… affordably. She also enjoys family time and traveling with her 3 sons and her husband. Mina is a past president and honorary life member of the San Clemente Junior Woman’s Club. Her involvement with the Junior Woman’s Club led to the inception of the Courtney’s SandCastle universal playground project. She is a founding member of the Courtney’s SandCastle Charitable Foundation and has dedicated over 16 years to the Courtney’s SandCastle project, bringing the first universally accessible playground to South Orange County for children with special needs. 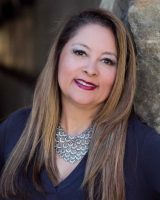 She has a Masters Degree in Health Administration from Loma Linda University (1994) and a BA in Biology from the University of California, Riverside (1992). She has 7 years experience with the Veterans Administration helping to establish community-based clinics and is actively involved with the National Charity League-Laguna Chapter. She is happily married to a physician and a proud mom of three children. She has a passion for helping the community and those that are underserved. John Bandaruk is a retired teacher/coach. He taught Biology / Chemistry / Marine Science at San Clemente High School for 35 years. John also coached swimming, water polo, cross country, football, basketball and track. He is now in his third year as a commissioner on the San Clemente Beaches, Parks and Recreation Commission , where he first became associated with Courtney’s Sandcastle as the Commissions liaison the Courtney’s Sandcastle Foundation. John and his wife Rita have lived in the Marblehead area for almost 28 years. His children Brandy and Adam both graduated from San Clemente High school. 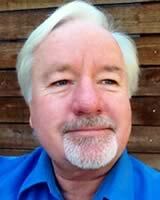 For fun, John enjoys swimming, body surfing, skiing (former member of the Mammoth Mountain ski patrol 1973-77). Tim Shaw is an accomplished program and construction manager as well as a registered landscape architect. His specialized expertise encompasses professional design and technical oversight for the management of public park and recreation lands and facilities. Other areas of expertise include park improvement concept designs, feasibility studies, cost analysis, and securing grants for capital improvement projects. 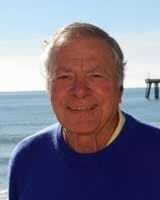 College English Adjunct Professor & Free Lance Writer Bill is an active member of the San Clemente Beaches, Parks & Recreation Commission, Friends of San Clemente Foundation, and other community groups. With his name on the City’s Wall of Recognition for numerous volunteer services, he was also honored as Citizen of the Year by the Chamber of Commerce and Volunteer of the Year by the City. He is a former college dean and chancellor, serving as an administrator and faculty member for such institutions as UCLA; CalState Northridge, Los Angeles, and Dominguez Hills; and Johnston College. Currently, he teaches English at Saddleback College. Prior to entering academic life, he was active in television and theatre, both in the U.S. and Europe. 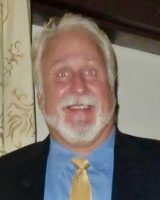 Don completed a long career as a senior executive in the department store and special store retailing with focus on merchandising, marketing and sales promotion. He was President of May Company in Cleveland, Associated Dry Goods in New York, and Barker Bros. Furniture in Los Angeles. He owned and operated a Minuteman Press printing and copy franchise for ten years. He is past President of the Corona del Mar Chamber of Commerce and Co-founder and Chairman of the Corona del Mar Business Improvement District. He has been awarded the San Clemente Community Volunteer of the Year twice and has led numerous events for the San Clemente Friends of Beaches, Parks and Recreation Foundation. Don is co-founder of Courtney’s SandCastle Charitable Foundation, volunteer to Habitat for Humanity, Fish for Life, and a volunteer for Camp Pendleton Marines Support. Lori is committed to community and youth and has been involved with Courtney’s SandCastle universal playground since 2006. She has deep roots in the St. Margaret’s Episcopal School community in San Juan Capistrano, having recently retired from teaching middle school English there. Lori is a board member of the South Coast Boys & Girls Club. She is a former San Clemente mayor and is completing her second term on the San Clemente City Council. She is a member of the Orange County Library committee. Academic credentials include an MBA from Northwestern University (1980), a B.S. in Linguistics and Education from Northwestern University (1977) and an urban planning credential from Harvard University (2005). Jim is a retired federal law enforcement agent. Upon retiring, he ran a successful forensic accounting and investigations business. He has been declared an expert witness in both federal and state court relative to investigative accounting. More recently, he has devoted his life to his family and to his five grandchildren. He is active in the area of recreation in San Clemente and is Treasurer of both the Courtney’s SandCastle Charitable Foundation and the Friends of San Clemente Beaches Parks and Recreation Foundation. He is also bookkeeper for the San Clemente Ocean Festival. He has been intimately involved in the recent opening of the Vista Hermosa Sports Park and Phase I of Courtney’s SandCastle universal access playground. Growing up in San Clemente, Ali was on the swim, water polo, and surf teams in high school. Her love of the ocean drew her to college at California State Monterey Bay. Each summer she would come home and work at R.H. Dana Exceptional Needs Facility. This is where she found that kids with special needs held a very special place in her heart. She finished college with a minor in Marine Science and a major in Integrated Studies with an emphasis on Atypical Development. Ali firmly believes in bridging the gap of available activities for kids with special needs. Ali went on to gain her Montessori Early Childhood Credential and taught for 7 years. In December 2016, Ali teamed up with Jodi Powell and Special Fishies: Aquatic Freedom and Education. Special Fishies has created multiple programs for kids with special needs and their siblings at our Courtney’s Sandcastle Playground. Ali is currently the Volunteer Coordinator for the Sandy Feet Initiative. Maxim Healthcare Services, Business Development Manager Jennifer works with hospitals, facilities, and families to transition patients home with home health care. She is passionate about helping people navigate the healthcare system and receive the best care possible. She has been working in home healthcare for the past 7 years. Jennifer started at Maxim Healthcare as a recruiter, staffing and coordinating with families, where she developed a passion for helping special needs children and their families. Jennifer graduated from San Diego State University with her degree in psychology. She has been on discussion panels, spoken at support groups such OCC3 for Kids, and effectively helped hundreds navigate the healthcare system. In her spare time, she enjoys spending time with her dogs and playing pool. Justin is well known for his commitment to children and childhood development. He is co-founder and president of Hope for Hannah, a philanthropy dedicated to advocacy for kids with autism. He is lead ambassador and advisor for Talking about Curing Autism (TACA) and also a board member of the Maddie James Foundation which is committed to seaside learning for children. You may recognize Justin’s voice from sports broadcast. He has been the main play-by-play baseball voice for Cal State Fullerton since 2005. He is known for his basketball (NCAA D-1), volleyball (Big West Conference) and football sports announcing credentials. Justin is a graduate of Cal State Fullerton. He is married and has two children. 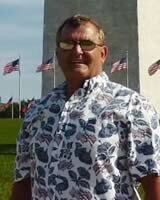 A resident of San Clemente since 1976, John is a retired Marine Lieutenant Colonel. He is a graduate of San Clemente High School, Cal State Fullerton and has a MBA from Webster University.He is currently a Financial Advisor at Edward Jones. He is a member of the San Clemente Exchange Club. John has been married to his wife Tanya for 22 years, and they have a 10 year old autistic son. Melissa graduated from the University of Southern California (1989) with a degree in International Relations and Journalism. After marrying husband Dave and moving to the San Clemente area, she has held many volunteer positions, including newsletter chair for the PTA of her children’s school, committee chair of her son’s scout pack and district recruitment chair for the Boy Scouts of America. She was team development chair for the last 5 years for the Relay For Life of San Clemente, and administrator and team mom for Alliance Water Polo.Melissa served many years with the Junior Woman’s Club where she earned district-level recognition and is now honorary life member. Melissa is a founding member of the Courtney’s SandCastle Charitable Foundation. 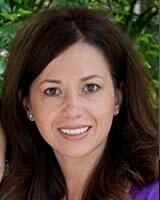 Veronica Hoggatt is the Practice Relations Coordinator at OC Oral Surgery where she has worked for over 23 years. Her outgoing personality makes this the perfect job for her. She grew up in San Clemente, where she still lives with her husband and two sons. She keeps busy outside of the office volunteering with PTA, going to the beach, reading, and bargain shopping. Mike is a Senior Attorney with Theodora Oringher where his practice focuses on all aspects of business litigation and sports law. Prior to joining Theodora Oringher, Michael was an associate with Bingham McCutchen, LLP. Before joining Bingham, Michael helped start an investment firm that specialized in distressed corporate acquisitions, and prior to that, worked for the former Speaker of the United States House of Representatives, J. Dennis Hastert, and for the former Governor of Virginia, James S. Gilmore. Michael is a graduate of the University of Virginia and Case Western Reserve University School of Law, where he served as the President of the student body. A long-time resident of coastal Orange County, Michael is married and has a son and two rescued dogs. Michael is a lifelong surfer, enjoys all sports and is a die-hard Virginia Cavalier, Anaheim Angels and San Francisco 49er fan. Denise was an IT Executive for over 30 years, leading international development teams on major software infrastructure projects for companies like Sony, Toshiba and HID Global. She is a successful small business owner and currently owns Three Dog Bakery. Denise is a member of the San Clemente Downtown Business Association. In addition she participates in numerous children and animal foundations. She has a Bachelor of Arts in Sociology from UC San Diego. Pam is currently a Saddleback College Adapted Kinesiology instructor. She has a 25 year background in health, fitness, sports, recreation, and therapy. Pam has taught adapted swimming, adapted water exercise, adapted fitness and strength conditioning, adapted stretch, adapted sports, and adapted outdoor education and recreation in the Adapted Kinesiology department for 6 years. 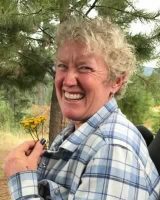 Currently she teaches Adapted Outdoor Education and Recreation, Adapted Fitness Conditioning, and Adapted Stretch.Pam also coordinates the annual Junior Athletic Wheelchair Sports Camp (J.A.W.S.) held at Saddleback College and teaches Adapted Sailing Clinics at Westwind Sailing at Dana Point Harbor. Pam is Executive Director of the International Coalition for the Advancement of Neurology Foundation (www.icantoo.org). Principal, Phillip Reilly Elementary School Capistrano Unified School District Sharla is currently the Principal at Phillip Relley Elementary School. She was previously the Executive Director of Special Education for Capistrano Unified School District (CUSD). She provided oversight, coordination, and supervision to all major aspects of the infant through elementary special education programs, and also oversaw the autism program, which received a Golden Bell Award from the California School Board Association in 2007. She was the President and Founder of Autism Social Videos & More. 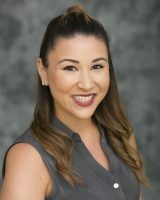 Prior to administrative positions at CUSD, she was a special education teacher and program consultant for school districts in San Diego, where she was awarded “Teacher of the Year” by the Community Advisory Council. Sharla holds a Master’s Degree in Special Education. Judy is a graduate of Minot State in Minot, ND (1969). She has a major in special education and social science with a minor in psychology and English. She was employed by the Hacienda La Puente Unified School District in the field of special education for approximately 40 years. 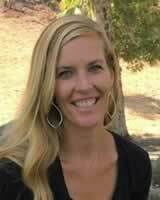 For the last ten years of her career, she was the special education high school advisor and department chair at Los Altos High school coordinating and moderating special education meetings, and doing guidance, college, career and social emotional counseling with the special needs populace. During that time, the department graduated to a full inclusion model for curriculum. Students were mainstreamed for the majority of their graduation requirements with a special education, general education and often times an aide in each classroom. Judy has served on various boards for school baseball, football, soccer and band teams. Andee has been a speech-language pathologist for Capistrano Unified School District (CUSD) since 2004. She currently assesses CUSD preschool age children whose parents have concerns regarding their child’s oral communication skills. She was previously employed as a speech-language pathologist in Austin and Georgetown (Texas) public schools for 29 years, providing assessments and therapy for preschool through high school students. Andrea is a 20 year member of SERTOMA (Service-to-Mankind) International, a philanthropic organization which assists children and adults with speech and/or hearing disorders. Academic credentials include Doctorate in Education from University of La Verne (2012), Master of Science in Communication Disorders from University of Redlands (1975), and Bachelor of Arts in Speech Pathology from La Verne College (1973).